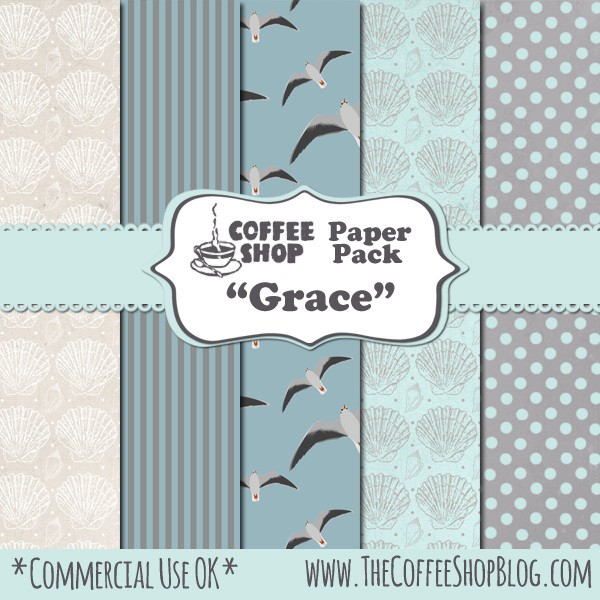 The CoffeeShop Blog: CoffeeShop "Grace" Digital Paper Pack! CoffeeShop "Grace" Digital Paper Pack! Today I have a beach-themed paper pack, perfect for your summer designs! Download the CoffeeShop "Grace" Paper Pack. You can also download it here. Thanks, Rita! I love the shell paper! These colors are wonderful! Thank you!